താങ്കളുടെ കാര്‍ട്ടൂണുകള്‍ എല്ലാം ഒന്നിനൊന്ന്‌ മെച്ചം. ഇതു ബ്ളോഗ്ഗില്‍ ശ്രദ്ധിക്കപ്പെടാതെ പോകുന്നത്‌ എന്തു കൊണ്ടെന്ന്‌ മനസ്സിലാകുന്നില്ല. പോസ്റ്റിട്ടതിന്‌ ശേഷം അതിനെക്കുറിച്ച്‌ ഒരു കമണ്റ്റ്‌ സ്വയം ഇടുന്നതു നല്ലതായിരിക്കും. It will give you a better visibility. why dont you list in chintha? just send mail 2 Mr. Paul..
товар продаем а поддоны остаются, у нас встал вопрос куда их девать. Потом я узнал, что за поддоны можно получить деньги. Что касаемо модулей и прочего, берется материал из открытых источников. Если интересный материал имеет какие-нибудь непосредственное авторство или права, то только с согласия автора!!! Тематика форума: Обсуждение работы интернет магазинов на движке shop-script, обмен опытом, тестирование новых или уже известных модулей, участие в разработке новых решений и/или дополнений для shop-script, использующихся в интернет-продажах. I would like to thank You for being the member of this website. Please allow me to have the chance to show my satisfaction with Hostgator web hosting. They have professional and fast support and they also offering many [url=http://tinyurl.com/gatorcoupon ]Host gator coupons[/url]. Learn to trade Forex. I'm trading currency forex with a metatrder demo http://2pipfixed.com using autotrader EA and scalping. I do this from my home as a part time job. They are a very honest broker and the best forex brokers. Trading forex Currencies is easy. Download a free similation and get trading in just a few days! Nothing is more terrible than ignorance in action. Êàæäîìó Ïðèâåò! Çàõîäèòå íà [url=http://sbseo.ru]Áëîã Ñèáèðñêîãî Ïîëóáîìæà[/url]. While young I enjoyed sketching people around and at school I was notorious for cartooning my teachers. 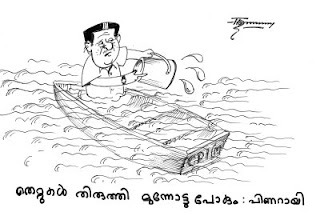 My first cartoon appeared in print when I was only 17 and over 2000 have now appeared in publications around the world: The Express, The Week, Onlooker & City Journal (India), India-New England, Malayalam Patram & New-Indian Express (USA), Malayalam News (UAE) & CNN. 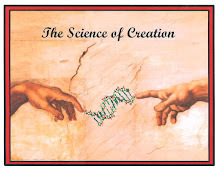 I am a scientist involved in advancing new energy technologies and earned my Ph.D from IIT-M. I am a recipient of UNESCO fellowship for promising young scientists and an author of ~ 75 papers & 15 patents. Cartooning keeps me creative in my pursuit of excellence in R&D. In 2003, Kerala Center (NY) honored me for “Extraordinary combination of talents as an Outstanding Scientist & Gifted Cartoonist”. 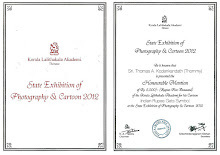 My cartoons have won the Union of Concerned Scientists (USA)contest (2008), “Chemistry is Life” International Contest by UNESCO (2010) and Kerala Lalithakala Academy Honorable Mention Award (2011). 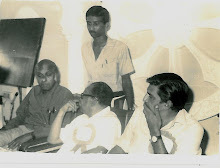 While at IIT, I met renowned cartoonist, Shri. 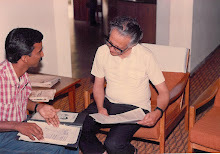 R.K. Laxman and inspired me pursue cartooning along with science. This what I crave to do.